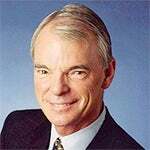 Michael Spence is the William R. Berkley Professor in Economics & Business at NYU Stern and a Nobel Laureate. He explores how globalization and technology have helped bring issues of inequality to the forefront of political debate. Project Syndicate, "How Inequality Found a Political Voice"